Kesher Olam Day Camp is a camp for rural and otherwise underserved Jewish families who have limited opportunity to the larger Jewish community. The camps will emphasize the connection to place and to Israel, using locals foods to make those connections apparent (eg set up a “mock kibbutz”). Team of camps leaders will go for one week at a time to multiple communities to run the day camps. The curricula will be consistent across all camps each summer and will focus on Israel, the connection to the land, and Israeli foods with ingredients that the families will source themselves and children will prepare. Children will participate in crafts, Israeli folk dancing, singing, and games based on Israeli and Jewish cultural themes. 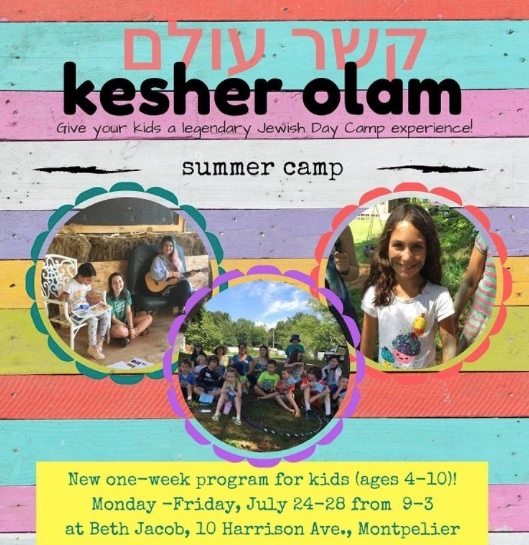 Families will have an opportunity to participate in regional activities for all Kesher Olam families, including Yavneh family camp.